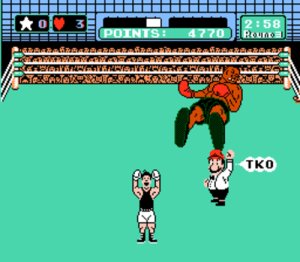 If you're close to my age, you undoubtedly remember the Nintendo game "Mike Tyson's Punch-Out". The premise was fairly simple; you played as "Little Mac", a diminutive yet plucky young pugilist who was determined to be a champion. Under the tutelage of trainer Jerome "Doc" Louis, you fought your way through the ranks, challenging boxers from three different circuits until you faced the ultimate champion: Kid Dynamite himself, "Iron" Mike Tyson. The game even included an inspiring 1980s training montage each time the player beat a circuit champion. Aside from the not-so-subtle racism, it was a great game. So why am I waxing nostalgic over a video game? Glad you asked. Moderately-priced single malt scotch or "entry-level" malts, as they're often called, remind me of the four foot seven, one hundred and seven pound Little Mac. People underestimate them, pass them by in favour of pricier offerings, mistakenly believing that price equals quality. This could not be further from the truth. There are some pricey whiskies that fail to impress just as there are moderately-priced whiskies that punch well above their weight, just like Little Mac. How does Aberlour 12 Year Old do this? The family motto of James Fleming, Aberlour's founder, is "Let the deed show". Aberlour 12 Double Cask speaks for itself. Let's look closer. This twelve year old single malt is double cask matured. Put simply, this means that the whisky spends time maturing in traditional oak casks and is finished in seasoned sherry butts (casks). 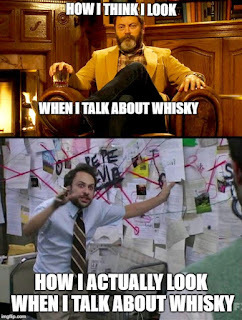 I'm not sure how much time is spent in each cask, as Aberlour doesn't reveal this trade secret on their bottle or on their website. I emailed them regarding maturation times, but they have yet to respond. Nevertheless, the sherry casks impart a rich, fruity flavour to this Speyside malt. "Finishing" whisky in used sherry casks is a practice that dates back to the 16th century. Sherry was shipped around the world in wooden casks which were emptied upon arrival. The sherry only stayed in the cask for the duration of its journey, which only lasted a few months, even back then. While it didn't take much time to travel from southern Spain to northern Europe, it was time enough to infuse plenty of sherry flavour into the wood. Not wanting to be wasteful, the Scots re-used the casks to age their whisky and sometimes, their ale. Thus, finishing whisky in sherry casks became a cherished tradition. And the Aberlour distillery is steeped in tradition: Aberlour states that there was a distillery manager who went so far as to play his bagpipes near the maturation barrels. I guess he wanted to ensure the malt was a "true Scotsman". 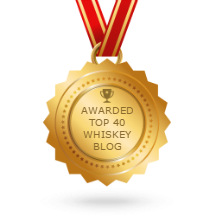 EDIT: Brand ambassador Ian Logan has responded to my email and I feel that I should clarify the above point as my description of "double cask maturation" is incorrect. The misunderstanding is entirely mine and I take full responsibility. "A certain percentage of the whisky has gone through a minimum of 12 years maturation in ex-European casks with the remainder going through the same amount of ageing ex-American Oak before both being vatted together at the end . If we moved all of the whisky from one type of whisky from one type of cask to the other it would technically be a finish, we do not do that at Aberlour." A minor point to some, but I want to strive for accuracy. Thanks to Mr. Logan for the reply. Aberlour 12 Year Old is bottled at a moderate 40% ABV, but I still recommend you let it sit in your glass for 10 minutes or so to let it open up and breathe. Just do it. You'll thank me later. Nose (undiluted): Cinnamon, toffee, dried fruit,vanilla, oak, apple, it smells like Christmas. I don't recommend adding water to this whisky. 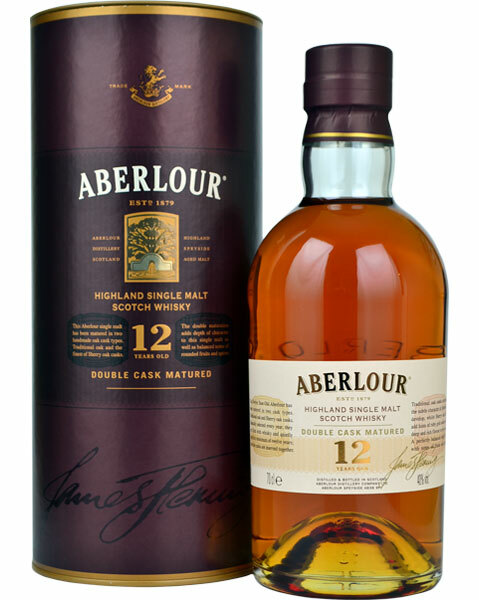 Doing so allows a bit more fruitiness to come through, but Aberlour 12 isn't bold enough to require water. Diluting tends to tone down the richness a bit, and the richness is one of the things I love best about this whisky. But hey, do what you like. 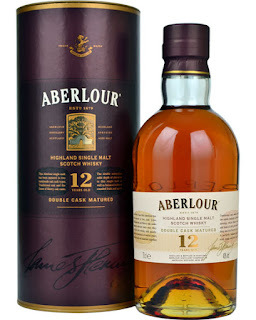 Aberlour 12 Year Old sells for about $65 here in Ontario. That's not a lot of money for a scotch this good. This malt easily outperforms many whiskies that sell for $20 to $30 more. Their ten year-old is good, but this twelve is only about three bucks more and the difference in flavour and complexity is striking. I highly recommend this to "noobs" and veterans alike. A pleaser for all palates. It's almost a four-moustache malt, but not quite there. I'm willing to bet the 16 year old would be at least a four moustache malt. Nevertheless, a very respectable rating for Aberlour 12 Double Cask.